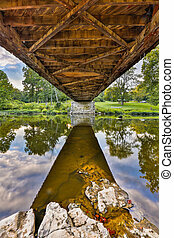 Covered bridge water reflections. 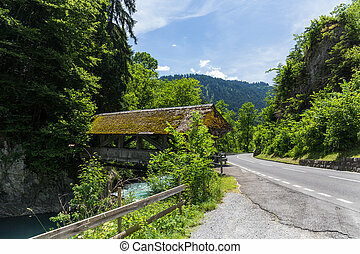 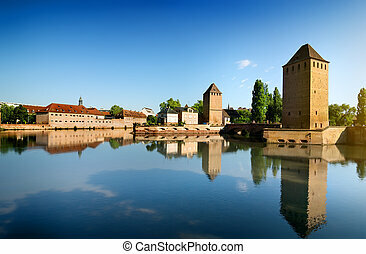 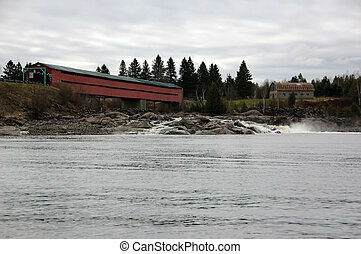 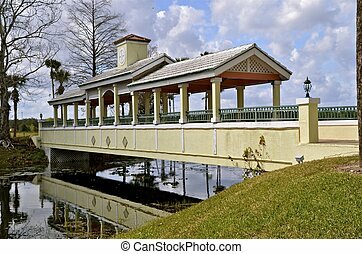 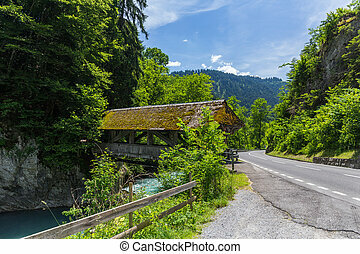 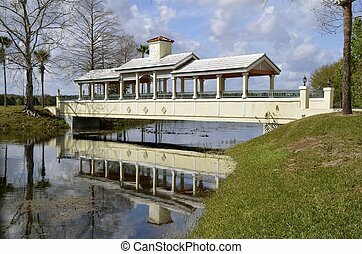 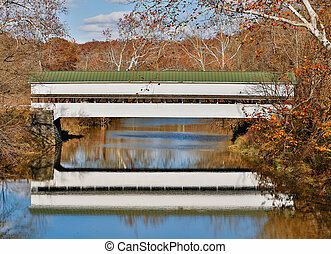 Reflections of a beautiful covered bridge are visible in the stream below the bridge and dam. 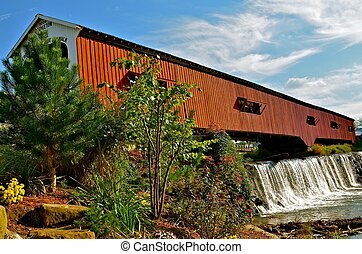 Indiana's Cataract Falls Covered Bridge is seen from below in late evening light. 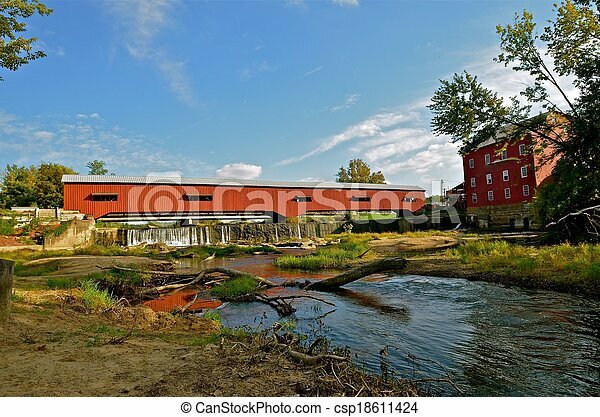 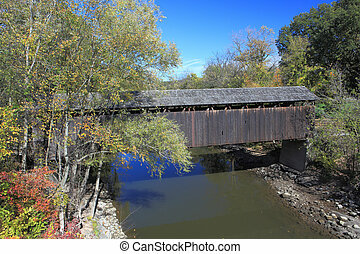 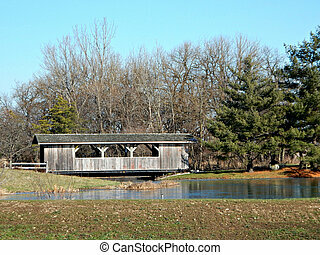 The historic Westport Covered Bridge crosses Sand Creek in rural Decatur County, Indiana. 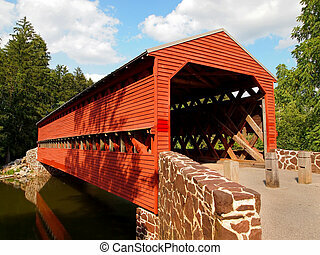 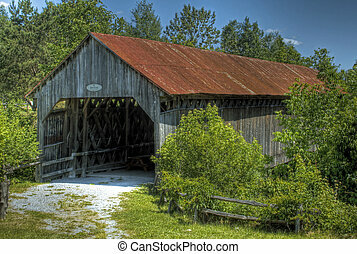 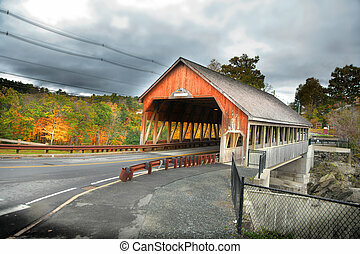 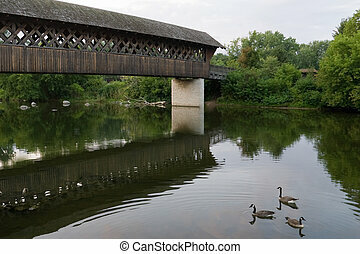 Sauck's Covered Bridge, also known as Sachs Bridge, crosses Marsh Creek, near Gettysburg, Pennysylvania. 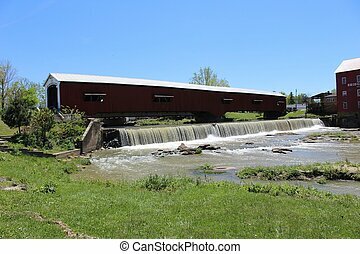 Water flows under the beautiful Bridgeton, Indiana covered bridge. 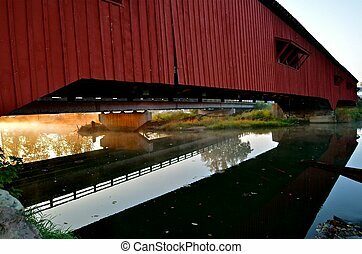 A red covered bridge throw it's reflection on the water below. 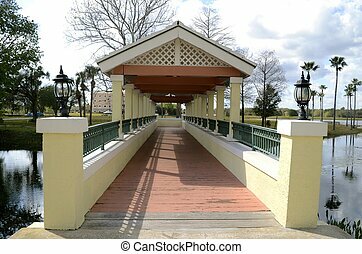 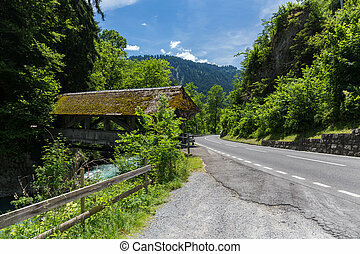 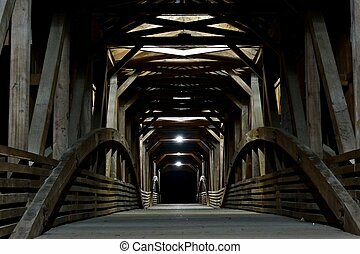 A long covered bridge reflects light in the nighttime. 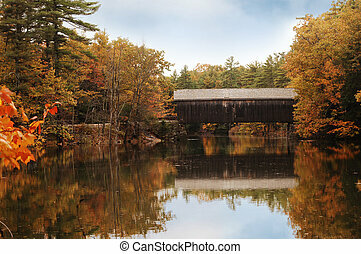 A covered bridge cast it's reflection on the waters below. 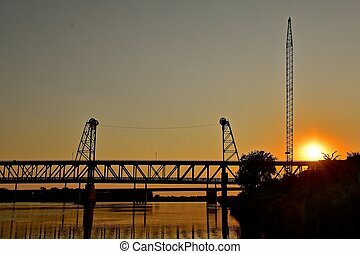 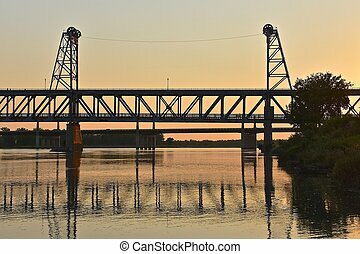 A closed two tiered bridge of Yankton SD is reflected and silhouetted where it spans the Missouri River from Nebraska to South Dakota.